Super Dragon Ball Heroes has begun a brand new arc in its promotional anime series, and as a result of an assault from a new team of powerful villains where Universe 6 is on the path to destruction with the latest episode of the series sees the start of Universe 6's part of the war, and it's already on the verge of being completely destroyed. The latest episode is titled, "Zamasu Revived where The Curtain Rises on the Universal Conflict arc" and as the title implies, features return of big Dragon Ball Super villain, Zamasu, along with other major Super multiverse favorites from Universe 6. The villains of the Core Area, who were released following the end of the Prison Planet arc, have start a dangerous tirade to destroy the gods that the Universe 6 happens to be one of the first casualties. 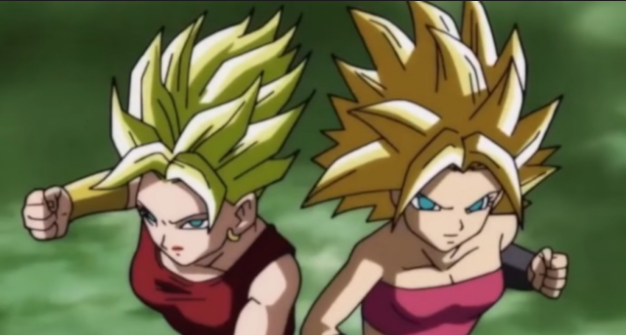 The Universe 6's Hit, Caulifla, Kale, and Cabba are shown fighting against two members of the Core Area, Oren and Kamin where it share a similarity with the Dragon Ball GT Baby because they are actually two Neo Machine Mutants created by the Tuffles of Universe 6. Like in GT, these Tuffle creations are far too powerful for the four of them to handle as Universe 6's strongest warriors are overpowered at every turn. Supreme Kai even traveled to Universe 7 to ask for help, but the episode ends before we can see just how much of a different Vegeta and Future Trunks make to the fight. But given that the next episode teases Universe 6's destruction which might get worse before it gets better.